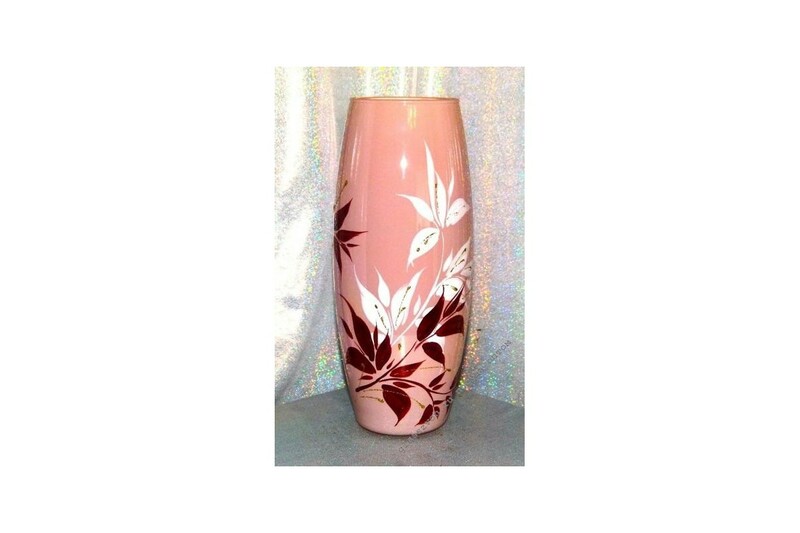 Budget and cute, decorated with artistic painting vases in bulk - an excellent option for replenishment of the range. 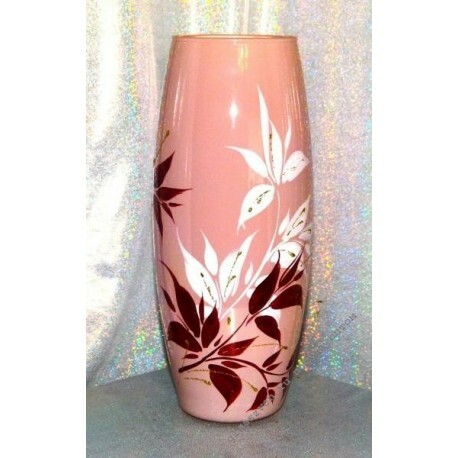 Model "Willow" - is an opaque glass, similar to pink milk, thin willow leaves in white and cowberry color. A gentle model for romantic natures in the Chinese tradition of painting ceramics. Suitable for bedrooms, kitchens or living rooms, animates the interior, adds a twist. The quality of the products is guaranteed by the manufacturer - the factory of the KPK "Crystal Chime". Reasonable prices and discounts are advantageous terms here, for you.